All tubes in contact with water are made of STAINLESS STEEL. This water fountain can cool and heat water to be consumed. 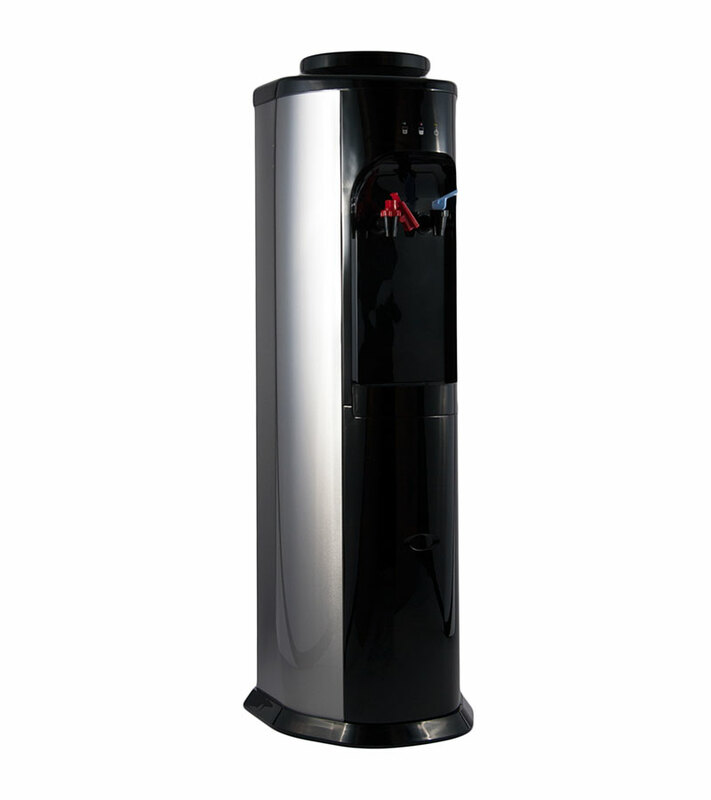 Water Fountain in black with metallic sides with stainless coating, a design that brings elegance to a superior level, ideal for workplaces or company receptions that give a lot of importance to their public image. In this model, we also search the highest quality at a reasonable price, so we have improved this cooler even more in order to increase its performance as well as the customers’ satisfaction, with a more efficient compressor that increases its cooling power, reduces energy consumption and is much more silent, as well as its sides, which have been subject to an anti-corrosive treatment. The Water Fountain Élégance cools and heats water and it has a water collector, a thermostat to adjust the water temperature on demand and a safety tap for hot water in order to prevent accidental scalds. You can also deactivate hot water if you wish to have room temperature water, and as a final result, a cold and room temperature water dispenser. This dispenser is compatible with all our PET bottles in their different formats, and you can add some accessories to it such us our new transparent cup Holder and it matches perfectly with our metallic Shelf or black bottle holder for 4 PET bottles.